Norah Jones first emerged on the world stage with the February 2002 release of Come Away With Me, her self-described “moody little record” that introduced a singular new voice and grew into a global phenomenon, sweeping the 2003 Grammy Awards and signaling a paradigm shift away from the prevailing pop music of the time. Since then, Norah has sold over 45 million albums worldwide and become a 9-time Grammy-winner. She has released a series of critically acclaimed and commercially successful solo albums—Feels Like Home (2004), Not Too Late (2007), The Fall (2009), and Little Broken Hearts (2012)—as well as albums with her collective bands The Little Willies and Puss N Boots. The 2010 compilation …Featuring Norah Jones showcased her incredible versatility by collecting her collaborations with artists as diverse as Willie Nelson, Outkast, Herbie Hancock, and Foo Fighters. But when Norah first moved from Texas to New York City in the Summer of 1999 it was with the hope of being a jazz singer and pianist, and she quickly found gigs singing jazz standards in restaurants and clubs around town. Around the same time she met Jesse Harris (who would collaborate on her debut album and write her breakout song “Don’t Know Why”) and soon fell into the singer-songwriter scene at the Living Room on Manhattan’s Lower East Side. By the time she went into the studio to record Come Away With Me her sound had changed direction and evolved into something much broader and more her own. But her jazz influences—from Bill Evans and Miles Davis to Billie Holiday and Nina Simone—have always remained. Now Norah has come full circle with Day Breaks, her remarkable sixth album which finds her returning to her jazz roots while also proving her to be this era’s quintessential American artist, the purveyor of an unmistakably unique sound that weaves together the threads of several bedrock styles of American music: country, folk, rock, soul, jazz. Day Breaks is a kindred spirit to Come Away With Me, though it is unquestionably the work of a mature artist who has lived life and grown immensely in her craft. 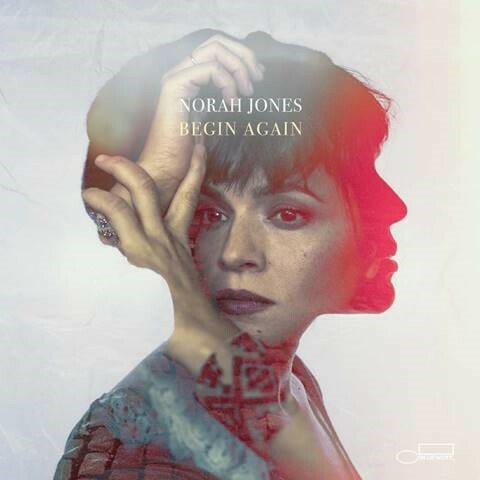 The album features jazz luminaries including Shorter, Smith, and Blade, who played drums on Norah’s debut and became the backbone (and backbeat) of the new album. If there’s a single common thread that runs throughout Day Breaks it’s the piano. Norah’s unmistakable touch frames each of the album’s 12 tracks: nine originals written or co-written by Norah and her songwriting collaborators Sarah Oda and Pete Remm, as well as three choice covers of songs by Horace Silver, Duke Ellington and Neil Young. Two songs on the album – “Once I Had a Laugh” and the Neil Young cover “Don’t Be Denied” – feature the rhythm team of drummer Karriem Riggins and bassist Vicente Archer as well as a horn section with trumpeter Dave Guy, trombonist J Walter Hawkes, and tenor saxophonist Leon Michels. “I got to open for Neil Young with my girl band Puss N Boots last summer and it was so fun,” says Norah. “Don’t Be Denied” – from Young’s 1973 live album Time Fades Away – “is a song I’ve loved for a couple years, it’s a little more obscure. It was a hard song for me to relate to lyrically because it’s in first-person and about being a young male kid, so I switched the lyrics around a little, made it third-person, made it about a girl, and then I totally related to it.” To fill out the arrangement Norah also brought in her Puss N Boots bandmates Sasha Dobson and Catherine Popper for background vocals, as well as guitarist Tony Scherr, and Remm on organ. With that band Norah decided to re-record “Peace,” a Horace Silver song she had written lyrics for and recorded a solo version of for an EP that preceded her debut album. “It just felt really right, lyrically it’s about peace, and right now it just made sense to do that song.” Featuring Shorter on soprano saxophone delivering a solo for the ages, the track sublimely encapsulates Blue Note’s past, present and future. 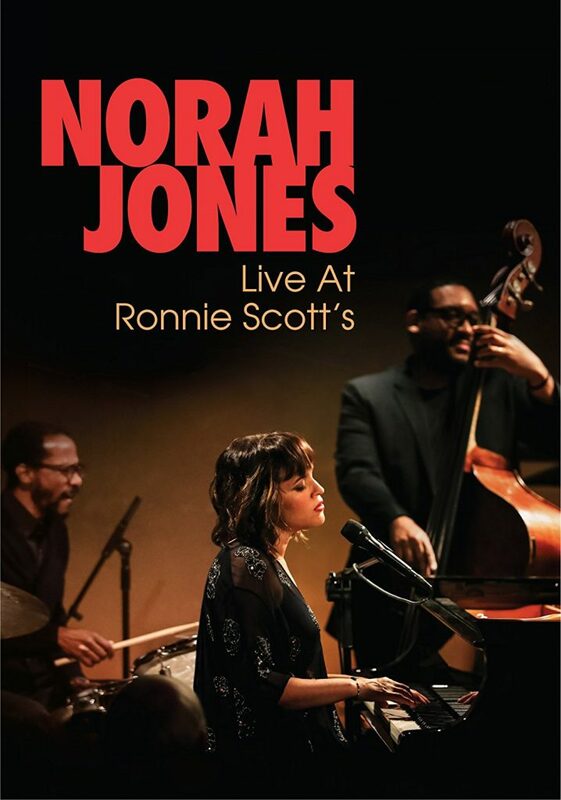 Norah Jones veröffentlicht neuen Konzertfilm Live At Ronnie Scott’s, welcher im vergangenen Herbst im legendären Londoner Jazzclub Ronnie Scott aufgezeichnet wurde.